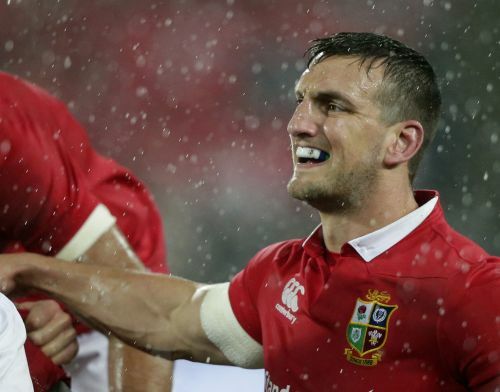 Sam Warburton, a former Wales and two-time British and Irish Lions captain, announced his retirement from rugby for health reasons at the age of 29 on Wednesday, ending the career of one of the country's greatest and most popular players. Warburton had been working to recover from neck and knee injuries since last year's drawn Lions series against New Zealand, when he last played. He recently returned for preseason training with Cardiff Blues but felt he could not reach the high standards he set himself. "Unfortunately, after a long period of rest and rehabilitation, the decision to retire from rugby has been made with my health and wellbeing as a priority, as my body is unable to give me back what I had hoped for on my return to training," Warburton said. Warburton played 74 games for Wales, captaining the team 49 times. He is one of two players to captain the Lions on two tours — to Australia in 2013, then New Zealand in 2017 — and played in five test matches. Wales coach Warren Gatland said Warburton's "leadership, attitude and demeanor, along with his performances, have placed Sam up there as one of the best and most respected players in the world." Real Madrid and Wales footballer Gareth Bale attended Whitchurch High School in Cardiff, Wales, in the same year as Warburton, with the pair playing in the same soccer team. Bale tweeted on Wednesday: "Congratulations on an incredible career mate. Good luck for everything in the future." The British and Irish Lions tweeted that Warbuton was "a leader on the pitch, a gentleman off it." Although injuries hit Warburton hard during his career, they did not prevent him establishing a reputation among the world's best openside flankers, with fearless, critical work at the breakdown area proving his major strength. "To look back on my career, I am extremely proud of what I managed to achieve," said Warburton, whose final game proved to be for the Lions in the 15-15 draw in the third test of the tied series with New Zealand in June 2017. Warburton emulated England's World Cup-winning skipper, Martin Johnson, in captaining the Lions on two separate tours. He never lost a test series, with the Lions overcoming Australia 2-1 in 2013. He also steered Wales to the 2011 World Cup semifinals, when he was sent off in the match against France.